It’s slick, it’s contemporary, and it will tame the tangle of two-wheelers in your garage into a tidy row. Bikerax has won the hearts of cycling and design devotees alike, and it’s easy to see why. Bikerax is a storage rack for bike collections big and small that’s practical and pretty too. Designed and made in Australia’s cycling heartland – that’s Melbourne, for those not in the know – they’re as strong and durable as they are stylish. The elegant, minimalist design is nice in the garage, but with the right aesthetic – warehouse apartment, anyone? – it would look nice inside too. Even if appearance isn’t a priority, Bikerax will keep your family’s bike collection from falling into a muddled heap, and anything that keeps the chaos at bay is alright in our book. Bikerax comes in four sizes, holding anywhere from two bikes with the MidRax ($129) to five with the MaxRax ($199). 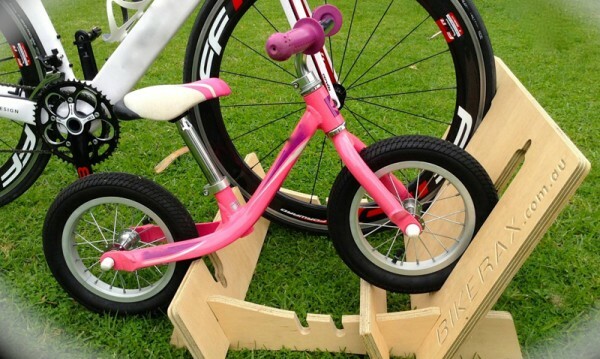 There’s also a conversion kit ($25) for smaller balance bikes or BMXes. Bikerax arrives flat packed, and the rack is very simple to construct. There are only four pieces, so even the most construction-incompetent (ahem, me) would have an easy time of it. Besides the handy Bikerax, the online shop also has some irresistible accessories. 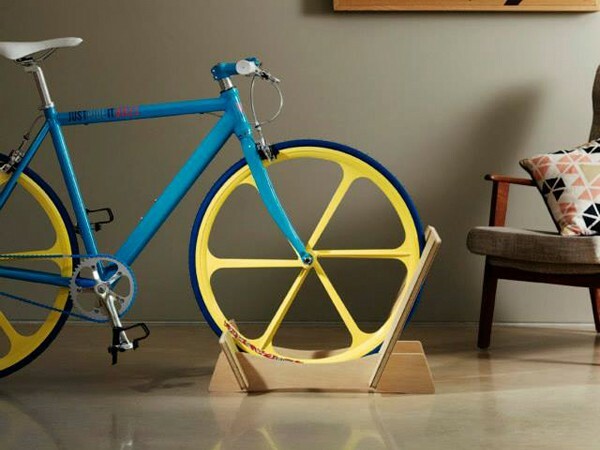 There’s a bike-shaped pizza cutter ($29.95), or our favourite, the handlebar coffee cup holder ($19.95). A coffee and a fixie is a match made in hipster heaven. Bikerax are available online and ship within Australia for $10 flat.